Love dance? Go pro and make movement a way of life with this comprehensive guide that can help you land your dream job in the world of dance. From front-and-center careers like professional dancer and choreographer to the lesser-known professions of technical director and costume designer, "So, You Want to Be a Dancer?" reveals a vast expanse of dance-related job possibilities that are as exciting as they are rewarding. In addition to tips and interviews from many different dance industry professionals, "So, You Want to Be a Dancer?" 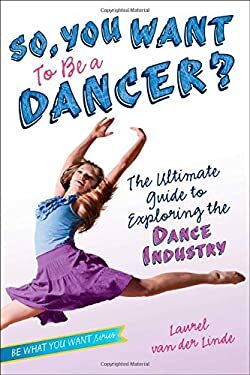 includes inspiring stories from young people who are in the industry right now, as well as activities, a glossary, and resources to help you on your way to a successful career in dance.